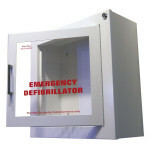 Ordinary AEDs require that the rescuer use two confusing electrodes. 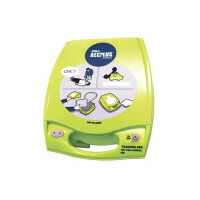 ZOLL’s Full-Rescue AED features CPR-D•padz™ a one-piece, pre-connected electrode with Real CPR HelpTM feedback. 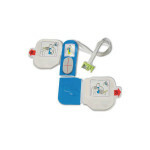 By using CPR hand placement as the landmark, it is easy to place the CPR-D•padz on the victim quickly. 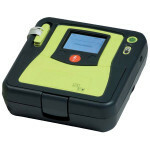 The CPR-D•padz also lasts five years—the longest shelf life of any electrode sold today. Inadequate compression rate and depth are common during CPR. 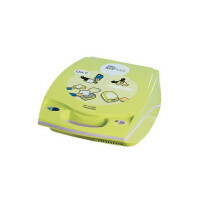 Adult victims need compressions at a rate of 100 per minute and at a depth of 1½ to 2 inches. 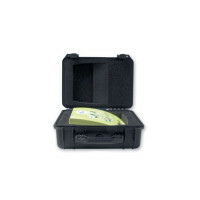 Compressions must be done well to effectively move blood and oxygen. 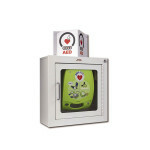 The ZOLL AED Plus®converts compression data instantaneously from the CPR-D•padz and provides an adaptive metronome to help the rescuer with the proper rate and depth, saying “Push harder” or “Good compressions,” as needed. It also shows CPR compression depth on the display screen. 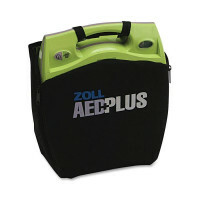 ZOLL’s AED Plus is the only AED that helps the rescuer achieve the correct rate and depth of chest compressions during CPR. No other AED has this capability. 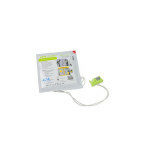 CPR-D Padz, Electrodes, 1 pair.